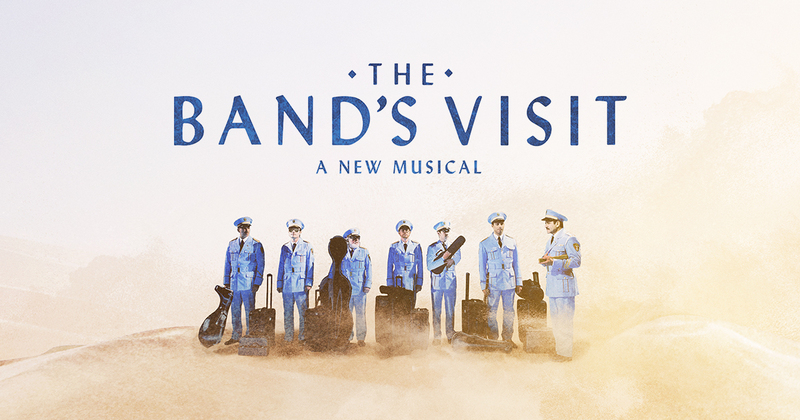 “The Band’s Visit,” currently running at the Ethel Barrymore Theatre, is one of the shortest shows on Broadway right now. It tells the story of a 1990s Egyptian band, led by the straight-laced Colonel Tewfiq Zakaria, played by Tony Shalhoub. On its way to an Arab music festival in the city of Petah Tikva, the band mistakenly winds up in a remote Israeli town and has to stay overnight at a cafe owned by an Israeli woman named Dina, played by Katrina Lenk. During that stay, the Egyptians and the Israelis are able to connect with each other through the power of music and a shared desire to break from a monotonous, “dead” life. It is a quaint story with a few emotional moments, but those moments don’t resonate as strongly as one might wish. The show lasts only an hour and a half and is performed without an intermission, making it the first one-act musical I have attended. The brevity is justified, however, since the story covers only one night’s worth of events. One of the most striking features of this production is its overly complex set design. Indeed, for a show that basically stays on one street for most of the time, the set designers created an intricate array of faded tan buildings that open up like books to reveal various scenes. One building opens up to display Dina’s cafe, while another one swings open to show a ticket booth. In one of the most memorable parts of the production, all of the buildings open up to show a neon pink roller derby, complete with a disco ball and 1980s pop music. Complimenting this elaborate set is the rotating stage, which uses a moving circle as a possible emphasis on the cyclical and repetitive nature of life in Dina’s town. It was surprising that such immense artistic creativity was poured out for what is essentially a minimalist show. Lenk, as Dina, is the highlight of the production. Her role is quite an undertaking since she sings most of the songs, yet Lenk excels in her performance. Her strong voice reverberates throughout the theater, and her passionate movements and inflections reflect the pent-up stress of a lonely woman whose life lacks excitement or intense romance. Lenk’s voice greatly complements the strong musical score, which incorporates Hebrew rhythms and Arabic instruments, like the qanun and lute, to paint a realistic picture of the Middle East. She is truly the heart and soul of the show, even if her thick Israeli accent renders some of her lines unclear. Unfortunately, the rest of the cast fails to achieve the same level of performance as Lenk. Like Lenk, their thick Israeli and Egyptian accents hinder their delivery, but unlike Lenk, they aren’t able to overcome their accents with emotional singing and movement. Some actors, such as John Cariani as the troubled cafe worker, Itzik, deals with this problem by dropping the thick accents while singing, while others remain trapped by a foreign tongue. Dariush Kashani in particular is remarkably wooden as Zakaria, and although his character is purposefully rigid and unmoving, his flat delivery and overall lack of energy dehumanizes one of the main characters of the story. Compounding these problems is the script, which contains large chunks of untranslated Arabic and Hebrew, and many of the intense emotional conflicts in the show are literally lost in translation as a result. Is “The Band’s Visit” a bad show, then? No, certainly not, but it is flawed. The humorous quips and cultural misunderstandings throughout the story are immensely entertaining, and Lenk’s performance more than makes up for the shortcomings of the rest of the cast. The show moves at a moderate pace with few lagging moments, and the score is beautiful. Yet, at the same time, the flaws do prevent the show from reaching a true catharsis. If those flaws had been ironed out, perhaps this show would have more of an emotional impact.